Romila Thapar’s new book highlights the need to reconcile culture with nationalism more sensitively. Alice Thorner, in her 80s, once gave a talk which she laughingly captioned ‘On becoming a Historical Fact’. 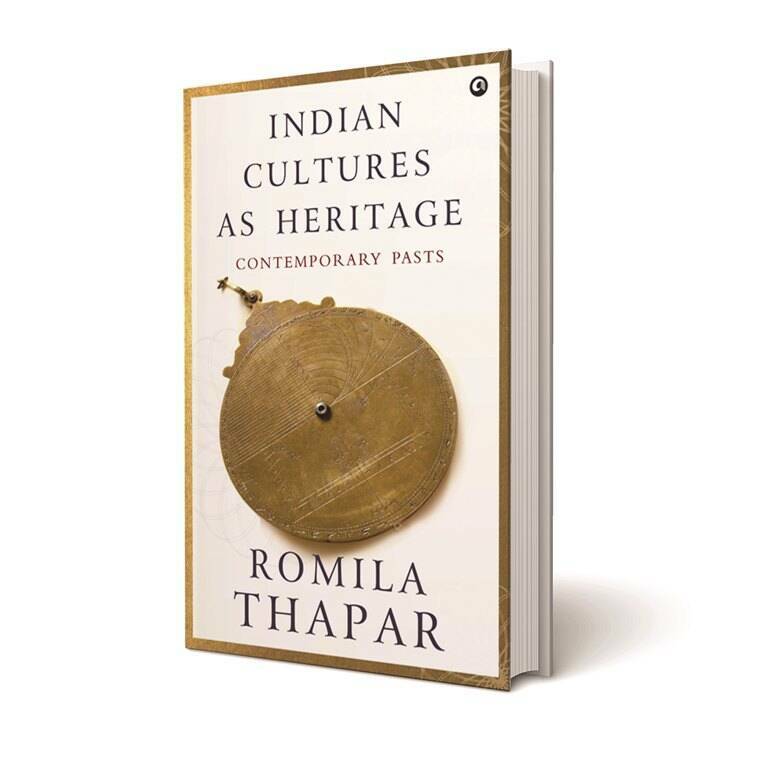 Romila Thapar has two chronologies to play around with — that of the subcontinent’s long history, and that of her own academic life. For over half a century, she has been writing books which have been part of growing up for three generations of Indians. I would love to know the reaction of the Romila who wrote that wonderfully unputdownable Penguin History of India Volume 1 in 1962 to the book under review. Did she, at that time or four years later, writing the textbook on Ancient India for the NCERT, think that she would be giving lectures on ‘heritage’? ‘Culture’, ‘civilisation’, and ‘heritage’ have been used interchangeably with ‘history’ over the last two centuries by Indianists and Indian scholars, without being troubled about exact meanings. By contrast, their equivalents in Hindi/ Urdu — sanskriti, saqafat, tehzeeb, sabhyata, virasat, dharohar — would be difficult to use interchangeably with itihas/tarikh. It is a Humpty Dumpty situation. In the 1930s, if culture, history and heritage were used interchangeably by some historians, culture and heritage came to be eschewed by others, as history moved closer to the social sciences (somewhere along the way the term humanities got blurred, though the term continues to be in use in curricula, without being clearly differentiated from social sciences). The Ramakrishna Mission’s three volumes on The Cultural Heritage of India (1937), edited by some of the country’s finest scholars, were enlarged, reorganised and reprinted in 1956 and later. From the 1950s was undertaken the Bharatiya Vidya Bhavan’s 11-volume History and Culture of the Indian People. These had detailed chapters on the built and performing arts, and literature. But, poorly printed and bound, they did not engage teachers or students, who had not been exposed to the wonders of arts, crafts and vernacular literatures in school. The NCERT textbooks (including those by Thapar) were also poorly printed, but the nationalist fervour that shone through them made them exciting. In the 1970s and 80s, the study of history took a new turn. To students who were fluent in English, nothing could be more heady than the new philosophies in English or in English translations (mostly from the French), and the occasions for interaction with fabled international thinkers — EP Thompson, Keith Thomas and Carlo Ginzburg were the rock-stars then! Their heritages flowed into the history curricula at the new temple of learning, JNU, for the formulation of which Thapar and her colleagues gave so much of themselves (pp 155-177). JNU and INTACH are contemporaries. And the establishment of INTACH changed the meaning of ‘heritage’. It no longer meant transmitting the thinking and the debates of centuries past in a responsible fashion, it now meant identifying ‘stake-holders’, the new patrons, the policies of ‘conservation’/ ‘restoration’. The definitions followed the UNESCO categories. History students have a choice — they could follow lines of pure research, or they could do research which feeds into the re-presentation of traditions and artefacts. Thapar sees Indians as having accepted and continued the Orientalists’ practice of reading cultures in terms of the higher castes and of religions (At this point, may I suggest that we could usefully disaggregate the ‘Orientalists’, who have been made into another caste?) She urges the need to study cultures in terms of context, and to incorporate stories of injustice and coercion (see the essays, ‘Women decoding Cultures’, 2016, and ‘The Culture of Discrimination’, 2017). In the last 30 years, she writes, this has begun to happen (as Arjun Appadurai and Carol Breckinridge had suggested a quarter-century ago). Historicising social discrimination “might lead us to effectively annul that part of our heritage that denies social justice and is ethically unacceptable” (p 133). The rigour of history should be used to analyse heritage choices — how and why certain artefacts or sites, or cultural expressions, are chosen as representative of a culture; the institutions and social codes within which the object is produced. This has been discretely studied, by historians for ‘institutions’ and by sociologists for ‘social codes’, albeit normative more often than empirical. One very interesting question she poses, but which I see as difficult to answer, given the very scanty resources of our repositories — were there periods when they were given prominence and others when there was an amnesia about them? I think the challenges today, which are frequently referred to in this book — of majoritarianism, of vulgarisation, of heritage being seen as celebratory — are being countered by quieter but effective tools — monographs that have meshed iconography, textual analysis, folklore and instances of patronage, elaborating aesthetics, creativity, scientific enquiry, that take account of different readings of ‘events’, of accepting that conflict, including inter-religious ones, did occur, but was no more the whole story than a community’s valour or another’s religious fervor was. When the crows caw noisily on the higher branches, listen to the little birds in the shrubs. When Thapar says, “The debate on ‘high culture’ and ‘ethnic culture’ has yet to take place” (page xxxiv), maybe she echoes something felt by many Indians, that debates (which become pronouncements) are not needed, and our cultures should be free, not bound with the ropes of academic dicta or the barbs of vapid party slogans and sententious legislative measures. Thapar herself recognises this. “Where values are imposed, they tend to wither away” (page 155). Perhaps it will be more happy-making to encourage a sense of eagerness to present culture from the base, from the performers and the craftspeople, instead of top downwards. Maybe the first person plural should be dropped? The word ‘we’ can create an oppressive sense of responsibility and also an assumption of privilege. Romila Thapar is one of the finest speakers in our country. These essays began as lectures, and you can hear them — and you will realise that they were spoken to attentive audiences, not hammered out in a solitary study. They are not final words, but an encouragement to take the discussion further. The link between ‘culture’ and ‘nationalism’ has to be forged again, less naively, more sensitively. 3 Oh, The Places You’ll Go!